I can imagine problems of PCBs not fitting into their enclosures or misaligned screw/hole pairs. Are these type of problems common, especially with the dirt cheap enclosures? I am planning to use one that has a "0.8 mm tolerance". It does not specify where exactly this tolerance comes in though. Maybe you want to allow 1.5mm rather than 1mm if it looks a bit rough. Shrinkage (typically a couple of percent in linear dimensions, first-order compensated for in the mold design) in injection-molded parts is affected by resin choice and processing parameters so it's more likely to vary if the manufacturer is swapping resin types after the mold is designed or is pushing for high production rates. Keep in mind that there are always draft angles in molded parts (not always shown on drawings) so the inside will be smaller at the bottom (top of the mold core) than at the top. Otherwise the part would not come out of the mold easily (or at all). Similarly, allow generous hole sizes for mounting holes- use at least the "loose fit" diameter in mechanical engineering sources\$^1\$. As well as linear shrinkage, bosses can bend a bit (the part is a bit soft coming out of the mold) if it is not handled perfectly. \$^1\$You can find that information online- look for "tap drill" tables, but the real bible, in North America anyway, is Machinery's Handbook. If you have the tolerance stack you can usually design things to work with it (for example by adjusting the size of the mounting holes in the board). 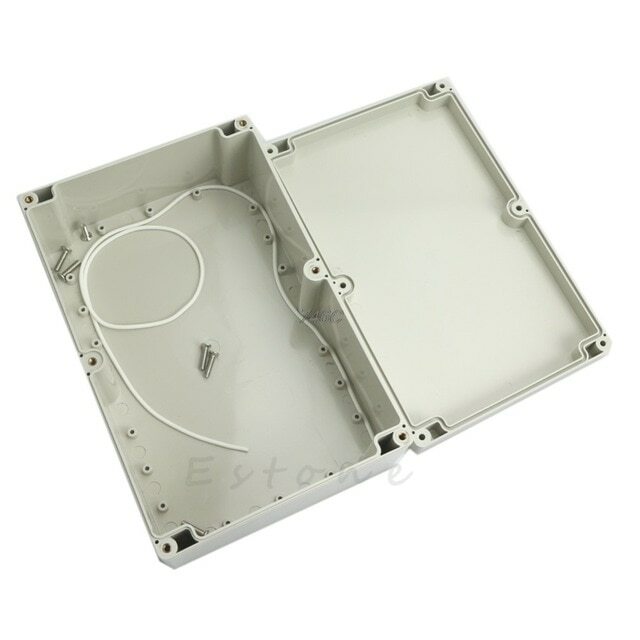 0.8mm is massive for a typical project box sized enclosure however, you might want to find a better vendor. I have also the same problem, I bought several enclosures from OOTDTY AliExpress, like below (they have them in different sizes). What I found out is that M3 (self tapping) screws are too big for the holes to put the PCB in (the 18 holes in the bottom). M2 are too small (with tape around them they fit, but only works for metal screws, not plastic screws or PCB spacers), so probably M2.5 is the correct fit. The holes do not fit with generic 4x6, 5x7 etc PCB sizes. However, I bought a small multitool and just drill extra holes in the PCB to fit them in the enclosure. Note that the PCBs I used are wired myself so I know where the wires are and where components are. You can use any unused hole (or preferably unused connection pads at the sides) for drilling holes. Not the answer you're looking for? Browse other questions tagged pcb enclosure tolerance alignment or ask your own question.